Business owners are never strangers to the tasks of facing issues and overcoming obstacles. One common challenge faced by business owners is storage. There are so many things to account for, including inventory, documentation, valuables, equipment, and supplies. To many it may seem like an almost never-ending challenge, especially if the business is a growing one. Business storage solutions are a necessity for both large and small businesses. Those that are growing and increasing their products and services may find themselves short on space due to the sudden increase in volume of inventory or supplies. Those that are still small, perhaps even small enough to be operated from home, may find that space is quickly limited. Security: Round-the-clock surveillance, coded gates, fireproofing, and perimeter fences mean significant peace of mind for business owners. Convenience: Busy owners love that they can access their business storage on their own schedule. Economy: Being able to free up space without rushing into a pricey commercial property contract means business owners can save funds and grow on their own terms. Proximity: Nothing beats the time and energy saved with business storage located where it is most convenient. Organization: Things are a lot easier to manage when you’re not dealing with a cluttered workspace or a tiny, cramped “back room” where the fall inventory gets stuffed under the Christmas signage. Access: Being able to drive up for quick access and avoiding ever having to lug boxes up and down stairs is a huge benefit to business owners. Nearly any type of business owner could find that using storage units for rent makes his or her life much easier. Sometimes, they don’t even realize the extent to which they can make use of a storage space until they start filling one. Here are some common business types who are greatly helped by business storage. Restaurants and Clubs: Table linens, furniture, sound systems, uniforms, and cooking and serving utensils can all be organized in storage that is conveniently located near the place of business for easy access during the dinner rush or to get ready for the concert crowd. Retail Businesses: No one can put a price on having a place to unpack and organize inventory in a way that makes sense for one’s particular business. Whether it be shoes, accessories, decor, or furniture—any kind of inventory is better kept in a spacious and organized space. It’s even better that storage units are priced far below commercial storage space. 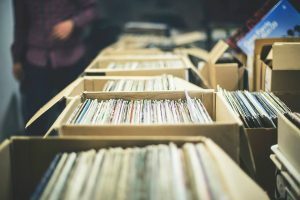 Sales Professionals: Many sales professionals are happy to say farewell to the days of keeping flyers and samples permanently in the trunk or backseat of the car. With a storage solution, even conference gear like booths and banners can be neatly kept ready for the next promotional trip. Offices/Clinics: Business owners who are responsible for keeping office and personal supplies are finding that it is much easier to keep boxes of toilet paper and copy paper in a storage space. This goes double for all those extra conference room chairs and monitors. Contractors: Whether they are craftsman or freelancers, many contractors find that equipment and paperwork are their biggest challenges when it comes to storage space. Fortunately, everything from file cabinets of invoices to tool cabinets and lockers can be easily kept in business storage. Some contractors are able to avoid renting any other business space entirely and just do their work out of their home office with all the extras kept out of the way in storage. Accountants: While much of their work is done online, many accountants keep back up hard copies of files for their clients. These can quickly stack up, and because they are financially sensitive documents, they need to be stored responsibly. For this reason, many accountants choose self-storage solutions for their business storage needs. Realtors: Anyone involved in staging, selling, or maintaining real estate quickly finds that storage is an immediate problem. Extra couches and end tables for staging do not fit easily just anywhere. Neither do mowers or vacuum cleaners. And, the marketing signage for buying and selling properties is significant. 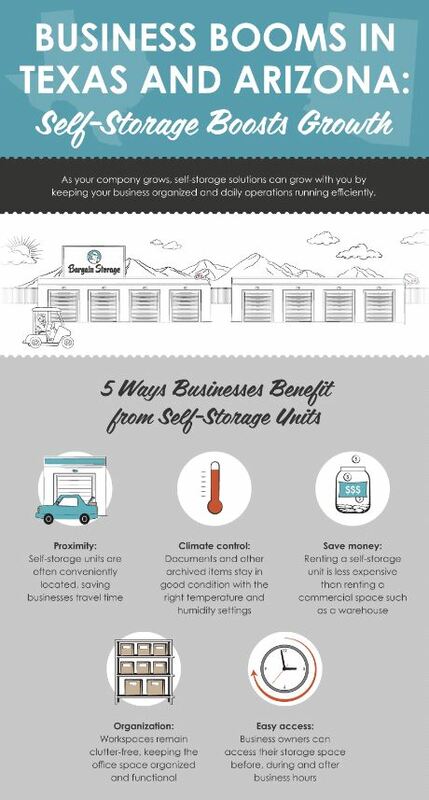 For these reasons, business storage can be a lifesaver for anyone in these businesses. Discover how your business can benefit from a storage solution by calling Bargain Storage today.